Consider your options. Soldered hooks offer strength and rigidity, at the expense of convenience and time. Crimpable hooks install quickly, but can migrate under orthodontic traction, costing valuable treatment time. Both options present a number of compromises. Trillium Compression Hooks are slightly undersized relative to their corresponding wire. 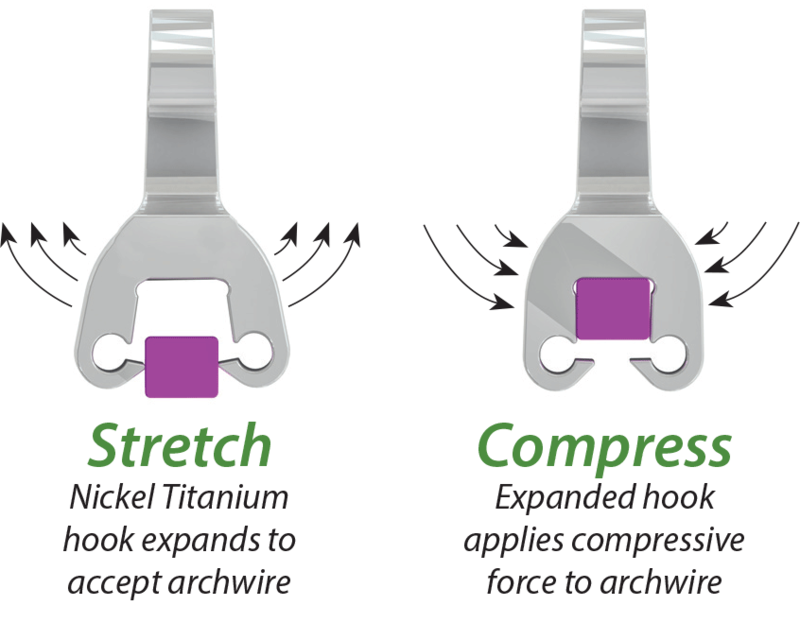 Made of Nickel Titanium, Trillium Compression Hooks deflect super elastically around the wire during installation.